Suggested by: with this new week comes our first suggestion for the play-a-day club. 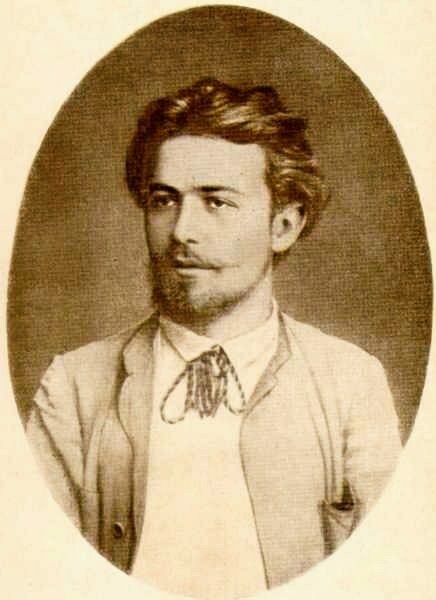 Colin Ho, Amy Satchell, and Chris Hay suggested a chronological reading of Chekhov’s major works (Ivanov, The Seagull, Uncle Vanya, Three Sisters, and The Cherry Orchard) in order to track the development of Chekhov as an artist (as well as of naturalism as a form). Synopsis: Estate-holder Nikolai Ivanov, a once vital man now wasted by depression, slowly infects the network of relationships in which he is enmeshed with his ennui. What moved me: Both Chekhov’s protagonist and the repetitive content of most of the work’s dialogue – everyone is bored, always bored and waiting for diversion – is deeply frustrating and so perhaps perfectly provokes the same dissipation in the spectator that is being felt onstage. His inexplicable falling out of love with his consumptive Jewish wife Sarah (leaving aside the mildly disturbing seam of antisemitism that runs throughout the work) is a prime example. IVANOV: […] Aniuta is a remarkable, an extraordinary woman. She changed her religion for my sake, left her father and mother, gave up her money, and if I’d asked for a hundred more sacrifices, she would have made them without blinking an eyelid. As for me – well, there’s nothing remarkable about me, and I’ve sacrificed nothing. However, it’s a long story…The gist of the matter, my dear Doctor, is that…[hesitates] that, to put it briefly, I was passionately in love with her when I got married and I swore I’d love her for ever, but…Well, five years have passed, and she still loves me, but I…[Makes a helpless gesture with his hands.] Here you are, telling me that she’s soon going to die, and I don’t feel any love or pity but just a sort of indifference and lassitude….To anyone looking at me it must seem dreadful; I don’t understand myself what’s happening to me…. The seed of brilliance in this work is how deftly Chekhov handles crowded rooms – keeping each thread separate and yet entangled. I’m sure this will develop over the next few plays.